Rox-Central Realty's newest property. This property was acquired in 2008, and completely renovated during the Winter of 2009. J. Crew opened its flagship store in the Spring of 2009. Consisting of 4600 sq. 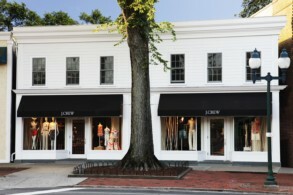 ft. of prime retail space in East Hampton Village, this property also has four offices on the second floor.